Hey ya’ll, February is almost gone and hopefully it will continue to take the bad weather with it! However, kudos to those who weathered the storm and attended our chilly February Phlocking…proof that Tuff Birds can have a grand time no matter if it is cold in the South! No worries, Spring is on the way and brings with it the promise of warmer weather and beautiful days ahead. Just like Spring, our amazing Club promises a new year full of wonderful events and opportunities to serve, some are new, some are returning annuals. 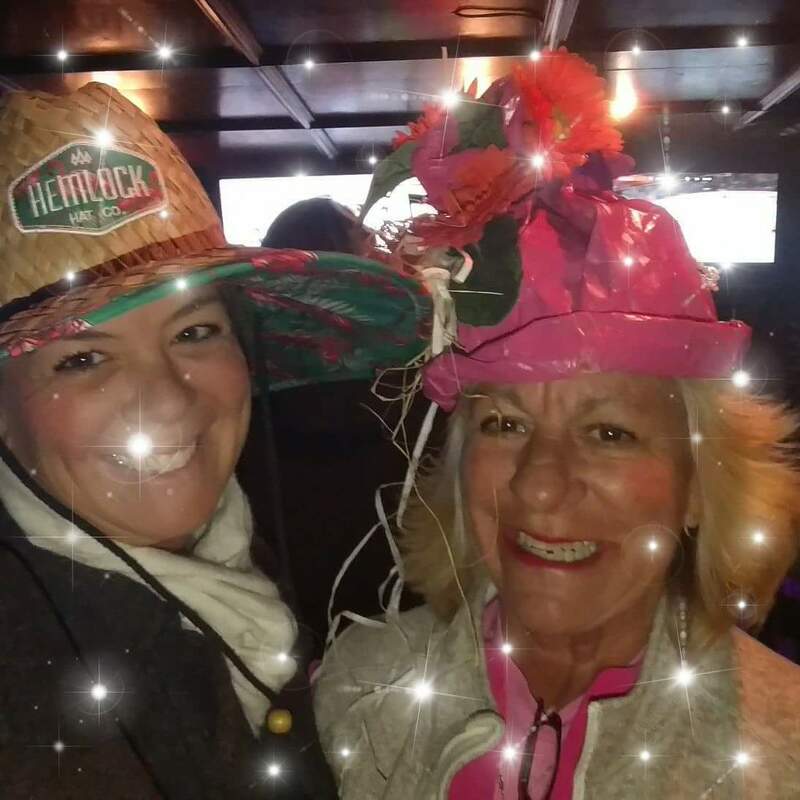 Start celebrating Spring at our March 2 Phlocking entitled “Spring has Sprung.” Next, you can join us at our St. Patrick’s Day Booth at the fabulous Emerald Isle St. Patrick’s Day Festival on March 17. Come join the Phlock working and playing at its best! More details of these events and others are found on this website! As always you are invited to attend and participate in all of our events. Your Meeting of the Minds Update! It is starting to slowly get warmer and concert season is coming soon! It is time to think about how you want to spend your vacation time! What better way than in Key West at Meeting of the Minds 2018? Here is an update on Meeting of the Minds. From my last update the Casa Marina is approaching a sell-out. We have a few rooms left but it seems every time I send an email out we have a surge in reservations so fair warning! 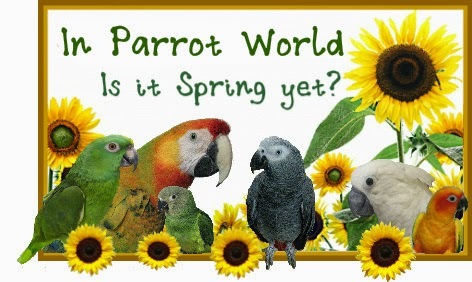 Please tell your Parrot Heads PHriends so no one is left out if they want a room at the Casa! Remember if you book a room at the Casa Marina you need to go register for Meeting of the Minds at the same time. YOU MUST BE REGISTERED FOR MOTM TO STAY AT THE CASA MARINA! YOU MUST REGISTER FOR MEETING OF THE MINDS 2018 WITHIN 30 DAYS OF BOOKING A ROOM AT THE CASA MARINA. THIS INCLUDES ANYONE STAYING IN THE ROOM WITH YOU. IF YOU BOOK A ROOM PLEASE REGISTER AT THE SAME TIME TO AVOID HAVING YOUR RESERVATION CANCELLED. The 2018 MOTM dates are on the PHiP web site for use in booking your rooms right now! I wanted to let you know I am hard at work on the entertainment schedule and should be able to get the artists and bands on the web site in the next month or so. Standby for that announcement. I think you are going to like what you will see! IF you registered and paid by midnight on March 31, 2018 YOU will be put in a drawing to WIN 2 tickets to see JIMMY BUFFETT AND THE CORAL REEFER BAND in a city of your choice in the USA or Canada during the 2018 tour courtesy of MARGARITAVILLE FOODS!! All you have to do is register to be entered into the drawing! NOTE THIS DOES NOT INCLUDE THE JIMMY BUFFETT DATES WITH THE EAGLES. If you are the lucky winner YOU will win a pair of concert tickets and access to a pre-show VIP party for any 2018 regularly scheduled Jimmy Buffett tour date within the U.S. or Canada. The concert date must be selected at least 8 weeks prior to the show or as soon as possible if the concert is announced with less than 8 weeks notice. The winner will be drawn on April 2, 2018. I can tell you your odds of winning are very good…much better than any lottery you will play! There is Another Great Drawing if you Book a Room at the Casa Marina! There are 311 Rooms so YOUR Chance of Winning Beats Buying a Lottery Ticket Any Day! Want to stay at the CASA MARINA RESORT during Meeting of the Minds? Well the link is up for you to book your room NOW! Hurry while rooms are still available! You should book your room at the Casa Marina!! Why? If you book your room by March 31, 2018 and MOTM registration has been paid you will be put in a drawing to win a FOUR NIGHT STAY DURING MOTM 2018 IN A TWO BEDROOM OCEAN VIEW SUITE FREE!! Only the people who are on the Casa Marina reservations list and registered for MOTM 2018 by April 1 will be eligible for the drawing. This is the sixth year in a row this prize has been offered. Ask some of the previous winners how cool this is to have this awesome suite right on the water in Key West during Meeting of the Minds for FREE! The weather on the Island has been fantastic and most of us are hoping that Old Man Winter has packed his bag and moved on for another year. Come out to the Emerald Club on Friday, March 2nd from 7:00-9:00 pm and help us channel SPRING!! Matt will have cold beverages and FREE food. There will be some fun Spring themed games to help us “get our Spring On” and hopefully Mother Nature will get the message so we can spend some time outside. We will be fundraising for Warrior Surf Foundation of EI, and Rob will be on site to tell us about all the GREAT things that the organization does for our veterans. This is also a good opportunity to be sure that you are signed up for our next big event the ST PATRICK’S DAY BOOTH at the Emerald Isle St. Patrick’s Day Festival. We are still accepting raffle donations and we need volunteers to work the booth on March 17th. The sign up sheet will be at the membership table or you can contact Jimi Crampton or Moh Traini. We look forward to a big turnout on March 2nd as we celebrate the end of Winter. 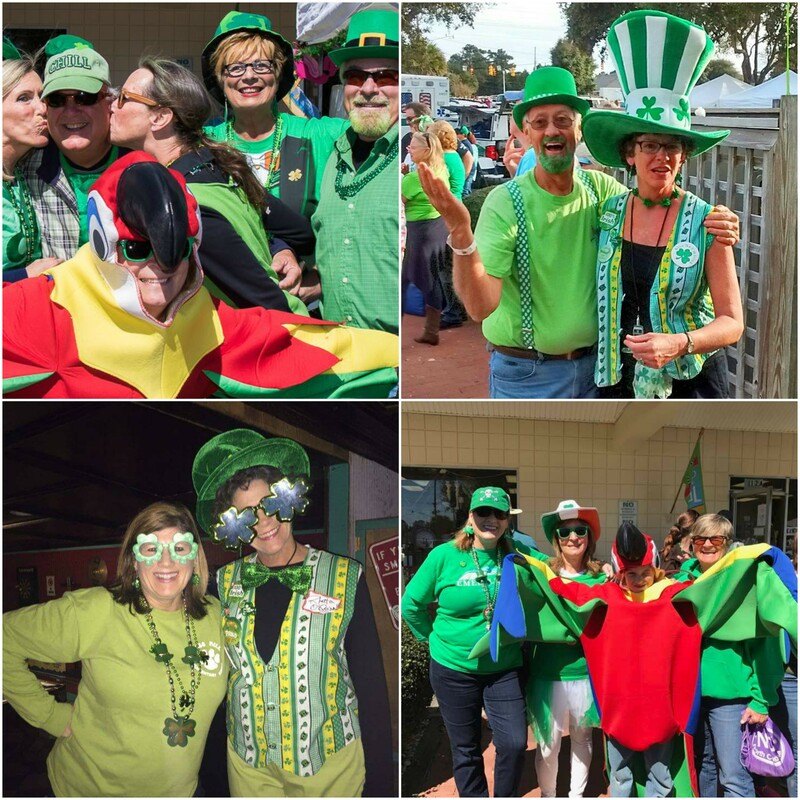 The St. Patrick’s Day Festival is one of the best events of the year here in beautiful Emerald Isle. There will be great food, crafts, a beer tent and fantastic entertainment all day long. The Emerald Isle Parrot Heads will be there is force to raise money for yet another good cause. This year the EIPHC will be selling raffle tickets to help purchase defibrillators for the local police department and life guards. We have many fantastic items to raffle and have room for a few more too! We are also in need of volunteers to help work our booth throughout the day. If you have items to donate or you’re willing to help out in the booth please contact Jim Crampton by email at jimic1023@gmail.com or call 919-971-9603. We currently need volunteers for the following shifts: 11:00 am-1:00 pm, 1:00-3:00 pm, 3:00-5:00 pm (Drawing at 4:30) and 5:00-6:30pm (Call winners, clean up, pack up). There will be a sign up at our next Phlocking on March 2nd at the E-Club as well. This is always a fun event and your help in making the booth a success is greatly appreciated. Thanks….I look forward to hearing from you!! 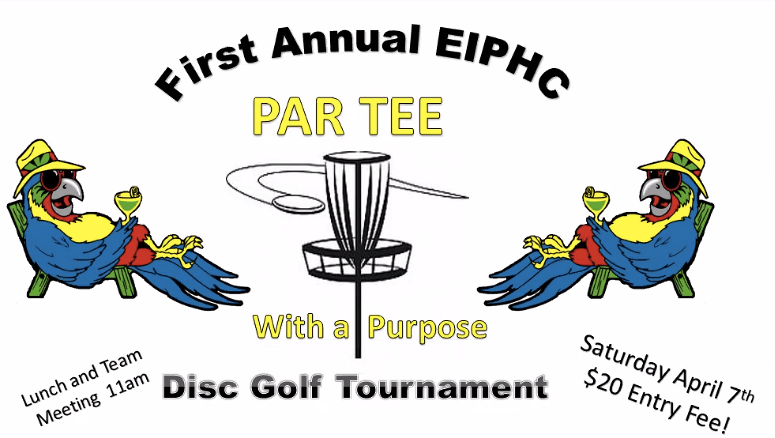 “PAR TEE” with a Purpose and help improve our town course! Complete and return this form to Jack for registration! What a great night despite the cold weather! Some us showed out hopeful for early Spring… but most of us were bundled up, waiting out winter. Matt at Eclub provided some hearty vittles, while DJ Robbie was blasting some great tunes! Thanks to our hosts, Moh Traini and Rose Gerrell, Parrotheads raised $222 (how appropriate for the date) for the Do It For Drew foundation. We welcome the New Members that joined and are excited to see our club continue to grow!